One bill would prosecute 'libelous' internet posts, while other would ban publication of names of IDF soldiers under investigation. The Zionist Union party is promoting two new bills that if approved would place limits on the right to free speech in Israel, Haaretz reported Sunday. The first bill seeks to extend libel laws on speech to internet and social networking sites, while the second calls to prevent the publication of names of IDF soldiers under investigation for actions committed while on duty. 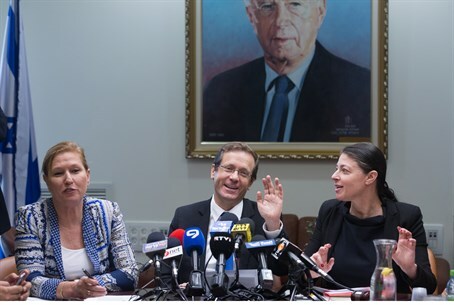 The Ministerial Committee for Legislation will vote on Sunday whether to give the two proposed bills official government backing before they go before a Knesset reading. Known as the shaming bill, the first piece of legislation was partially inspired by the suicide of Ariel Runis, a senior official in the Population, Immigration and Border Authority (PIBA). Runis killed himself after being accused of racism in a Facebook post that quickly went viral in Israel. A complaint had also been filed with the Interior Ministry against the official. Sponsored by MK Revital Swid (Zionist Union), the bill would assign the same accountability for libel to heads of social networking sites as exists for written media outlets in Israel. The bill however raises questions of how managers of social media sites would be able to differentiate between libelous and true statements, and whether factual information would be suppressed by managers for fear of lawsuits. Despite those questions, the bill has received broad Knesset support, although it remains to be seen how the Ministerial Committee for Legislation will vote on it as well as the second bill, sponsored by MK Eyal Ben-Reuven (Zionist Union), a former IDF general.